What? Vacheron Constantin’s latest collection of time pieces, the aptly titled “The Legend of the Chinese Zodiac”, makes a perfect gift for Chinese New Year. 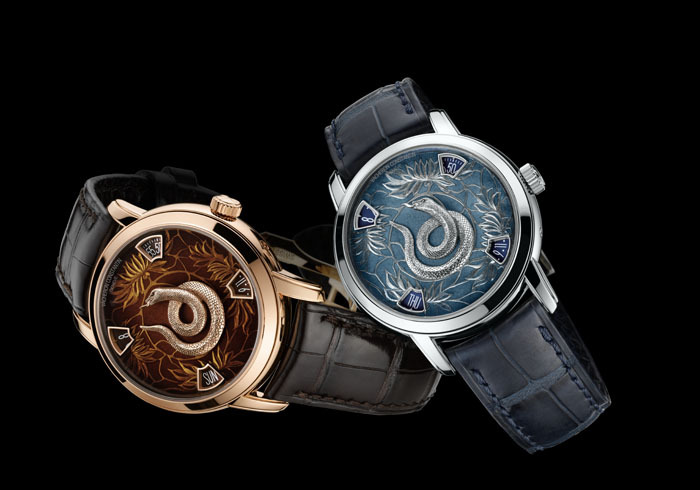 Currently released is the “Year of the Snake” watch, available in a platinum or pink gold case. Only 12 pieces are released for each model.